Finn Magee‘s series of impossible gadgets is a fun look at just how small our electronics have gotten. 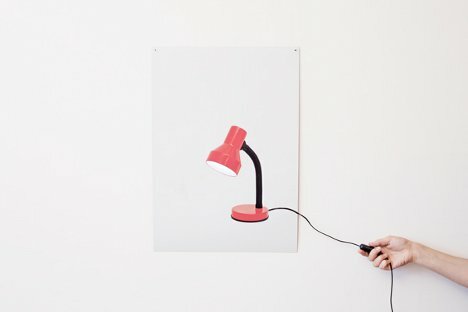 The three gadgets – a clock, a lamp and a speaker – all look like nothing more than wall posters with oddly trailing cords. 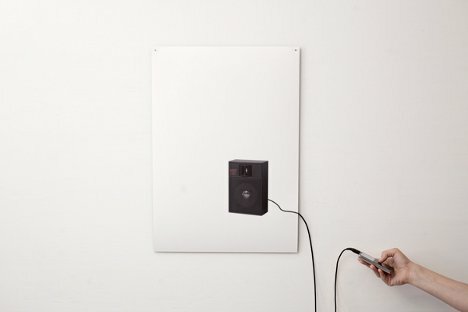 But when you plug in the cords, the true nature of these unusual posters becomes apparent. The 2D images actually perform the functions of their three-dimensional counterparts. 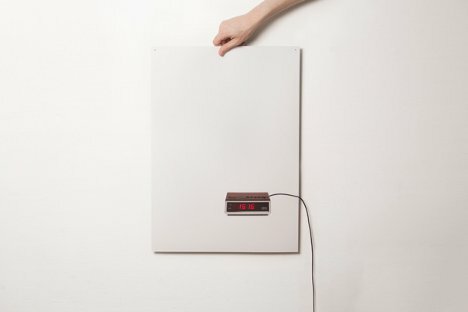 The picture of the speaker really works as a speaker when plugged into an MP3 player; the picture of the digital clock actually gives the time; the picture of the desk lamp gives off real light when the cord switch is flipped. Magee’s brilliant objects were all made in limited editions which can be ordered from AREAWARE. They’re the perfect solution for the tiny apartment that is short on tabletop space. More importantly, however, they’re definitely the coolest posters that will ever grace a wall. See more in Industrial Design or under Technology. September, 2012.